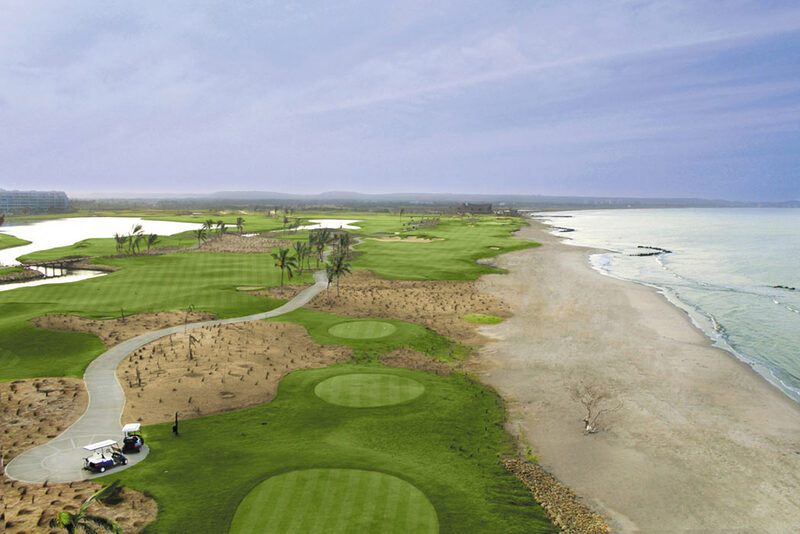 The Web.com Tour schedule resumes this week in Colombia with the inaugural Cartagena de Indias at Karibana Championship, held at TPC Cartagena at Karibana—the championship layout by Nicklaus Design on the country’s northern coast. From its stunning views of the Caribbean Sea and immaculate condition to the subtle intricacies of this Nicklaus Design layout, TPC Cartagena at Karibana’s championship golf course provides members and guests with a challenging test of ability, complemented by a memorably scenic experience. The front nine is surrounded by a lush natural forest and features six man-made lakes, while the back nine offers dramatic ocean vistas. The Cartagena de Indias at Karibana Championship, a new Web.com Tour event, features a 144-player field and a purse of US$700,000 and a winner’s share of $126,000. The event is part of the Tour’s early-season launch in Latin America. This week’s field includes 30 Web.com champions with 61 total Web.com Tour wins, and nine of the top 10 on the Web.com Tour’s money list. There are three past PGA Tour winners in the field, and 13 different countries represented. There are at least 27 Nicklaus Design courses hosting a Tour-sanctioned event or significant national amateur championship in 2015, including The Presidents Cup at Jack Nicklaus Golf Club Korea in New Songdo City, outside of Seoul. No fewer than 125 Nicklaus Design courses have hosted a combined total of more than 816 professional tournaments or significant national amateur championships worldwide.